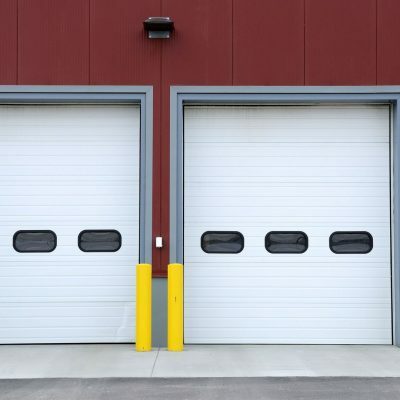 Our overhead doors come in a variety of shapes and configurations to suit almost any design your business may have. Whether you have a small storage area or a large garage with work vehicles, we can help you find a reliable option to keep your business running smoothly. 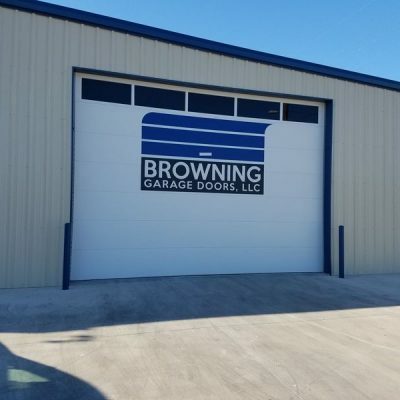 Available in both ribbed steel and micro-groove styles, overhead doors are an affordable and long lasting investment. These doors are layered in a sandwich style of materials, making them rugged and well insulated. Solid insulation regulates the temperature of your space and also blocks out unwanted noise. When space is tight a roll up garage door is the answer. Rolling steel doors use specially designed curved slats that allow the door to roll up like a curtain into housing above the doorway. This type of door is ideal for service entrances where large vehicles will be passing through, and also as fire shutters in case of emergencies. 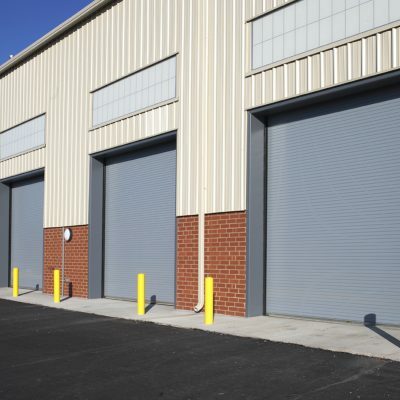 If you have a display area of items you prefer to lock away after hours, rolling steel doors can make it easy to close up at the end of the day while adding minimal clutter during hours of operation. All our commercial garage doors are composed almost entirely of 100% recycled materials. Additionally the heavy-duty insulation keeps your energy costs down, and is perfect for sustainable green business spaces. If you’re ready to get started or want some additional information, contact us today.